Have you, like thousands of other locum pharmacists, been worried about potential changes to IR35? Are you worried about paying more tax, more national insurance and ensuring that your accounts match what may be expected, post Spring Budget? We've received many emails and phone calls from worried locums, just like you, asking for advice on how to deal with tax and national insurance changes for the self-employed. What does IR35 mean for locum pharmacists? Well, new regulations are (apparently) being introduced from April 2017 which could affect the amount of tax and national insurance that locums have to pay. HMRC findings estimate that only 10% of personal service companies who are supposed to apply IR35 to their working arrangement, actually do so. To ensure greater compliance, HMRC are changing the rules so that the onus is now on the worker to pay the IR35 fee. The changes are supposed to take effect from 6 April 2017. But pressure from the media and both internal and external government opposition, means that these changes may not actually be rolled out. Confusing, we know! These changes may impact on locums (whether paid by an agency or through any NHSDE who are not currently being paid via PAYE. If you receive a payslip each week that clearly shows that tax and national insurance have been deducted from your earnings then you are a PAYE worker and IR35 does not apply to you. Hurray! However, if you own your own limited company, we suggest that you get in touch with either HMRC, or our friends at Crunch accounting. 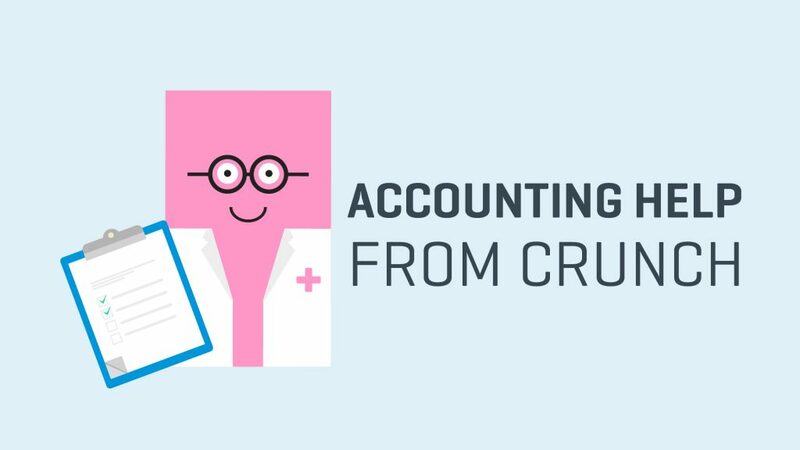 Crunch is one of the leading accounting firms in the UK, and they’re here to tell you about their services and how they can work for you. “As a locum pharmacist, you get the freedom to work on your terms and achieve a better work/life balance. The last thing you want is to be worrying about your tax and accounting. That’s where we come in. At Crunch, our accounting service is trusted by over 9,000 satisfied clients, including locums just like you. Our accounting packages combine online accounting software with unlimited access to advice from accountants. Your accounts can be accessed anytime, anywhere, while our accredited accountants are on hand to answer all your IR35-related queries. Packages from £29.50+VAT / month Plus, all accounting clients get a dedicated client manager. Available by phone or email, they’ll get to know you and your business and will deal with HMRC on your behalf - leaving you to concentrate on what you do best. And with locum pharmacist accounting services starting at just £29.50+VAT per month, we’re more affordable than your average traditional accountant. More than accounting We’re not just expert accountants - we also provide a range of business services, all tailored to the self-employed. Whether you’re looking to sort your business insurance, get financial advice on investments and pensions, or secure a mortgage for your dream home, we’re here to help, every step of the way. If you have queries about IR35, get in touch with the guys at Crunch. They can answer all the intricacies related to tax and national insurance changes and they can explain what these changes might mean for you. That's one less thing to worry about! Anyway, you have to earn money first before you worry about how much tax you'll pay! Are you aware that you receive a £50 bonus after you work your 10th locum shift through Locate a Locum? Sign up today and get applying for some of the 1,200 shifts that we add every week!